The archaeological site of Naḥal Tut VIII is located midway along the modern road between Jokneam and Zikhron Ya‘aqov, nestled in the low hills between the southern extent of the Carmel Range and the northern edge of the Manasseh Highlands. The remains are located on a moderate slope 30 m west of Naḥal Tut, which flows into Naḥal Daliya. Traditional land exploitation in the vicinity includes crop cultivation and sheep and goat grazing. The site was described by Y. Olami in the Archaeological Survey of Israel (Map of Daliya) as a small tell-like hillock with sherds from the Persian and Roman periods. 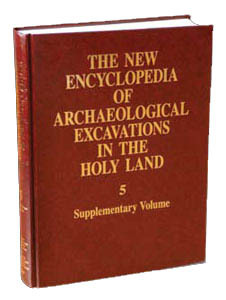 Salvage excavations were carried out at the site in 1993 by Y. Alexandre on behalf of the Israel Antiquities Authority, prior to the widening of the modern road. A strip c. 15 m wide and c. 55 m long was excavated down to bedrock, revealing part of a large building complex dating to the late Persian period. Beneath the northern part of this structure, fragmentary walls of a Middle Bronze Age building were discovered. The site was abandoned following the destruction of the Persian period complex. It later served as a cemetery in the Mameluke–Ottoman periods, some of the graves making use of the extant ruined walls. THE MIDDLE BRONZE AGE. The architectural remains of the Middle Bronze Age were extremely limited and do not permit the reconstruction of a comprehensive plan. A few fragmentary fieldstone walls, one or two courses high and built directly on the bedrock, were preserved in the northern part of the excavated area, having been incorporated into the stone-paved floor of the Persian period building. A significant quantity of sherds of bowls, kraters, cooking pots, jugs, juglets, storage jars, and pithoi date the building to the Middle Bronze Age IIA–B.